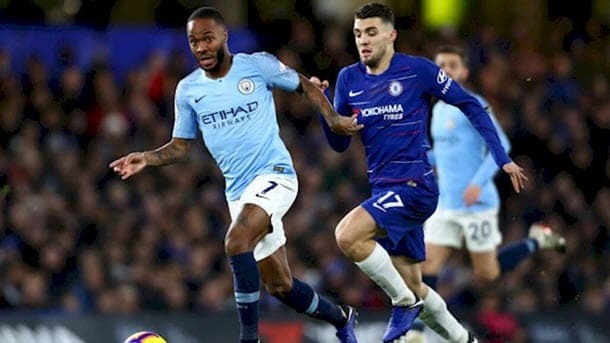 When the fixtures came out last June, Man City v Chelsea in February was probably pencilled in by the bigwigs at Sky Sports and BT Sport as a potential clash between title contenders. Little did they know the Blues of the King’s Road would be nine points off the pace at the season enters its home straight. Instead it’s only the Citizens who are involved in the title race, with Chelsea rather more concerned with holding onto their place in the top four and with a resurgent Manchester Utd now breathing down their necks. City, having beaten Everton 2-0 in midweek in a rearranged fixture, have made the most of Liverpool’s blip – just two wins in their last five games – and have found some momentum when they needed it most. What does make this clash doubly interesting however is that Chelsea, unlike most teams who go to the Etihad, will go there without an inferiority complex. Instead they will head to Manchester prepared to go toe-to-toe with the current champions, which makes for a fascinating encounter. Get the best odds for Man City v Chelsea and our other featured games with our selected bookmakers below. The Blues are though in the midst of an iffy run – the very reason they find themselves well off the pace – and two consecutive defeats, by Arsenal and Bournemouth respectively, set them on their heels until it all came good last Saturday against a stricken Huddersfield. A 5-0 demolition of the Terriers came at the perfect time for Chelsea – who have struggled to properly come to terms with the style Maurizio Sarri demands – and with new-signing Gonzalo Higuain grabbing his first two goals in the blue shirt and showing signs of forming a deadly partnership with Eden Hazard, things are all of a sudden looking brighter for them. But, and it’s a big but, it’s very difficult to find a case for anything other than a City win, especially with them having closed the five-point gap that Liverpool had opened up. In Sergio Aguero and Gabriel Jesus they have strikers who are bursting full of goals and with such a creative midfield supporting them, to try and stop them is an unenviable task – even for a Chelsea defence that has conceded only 23 goals in their 25 games. As mentioned earlier, key to this one in our view is that the Blues will head to the Etihad intent on having a go. There will be no parking the bus or getting ten men behind the ball, but instead an expectation from Sarri and the Chelsea support that they are good enough to play City at their own game. As laudable as this is – and it will make for a good, open game – we feel this could play into Guardiola’s hands and with City’s formation naturally using the width of the Etihad pitch, it will make for some nervy moments in the Chelsea defence. 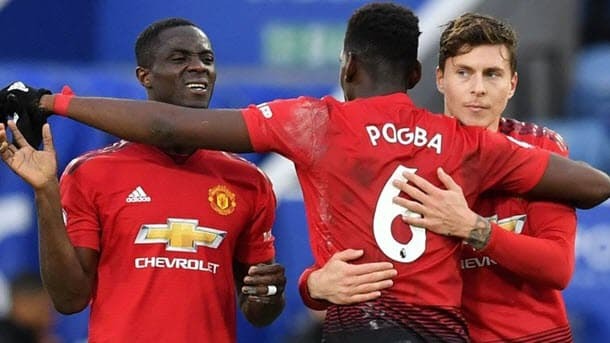 The Solkjaer-inspired resurgence has served Man United well and other than that solitary draw at home to Burnley – when two late goals salvaged a point – it has been a breath-taking surge up the table. It’s a surge that’s restored the faith of United fans who, under Jose Mourinho, had started to understand how it feels to be Premier League also-rans. For Fulham, the relegation concerns persist and one look at the league table explains why – goals conceded. The Cottagers have conceded no less than 55 times in their 25 league games – nine more than any other team in the Premier League – and so Claudio Ranieri won’t need pages of stats and Prozone data to tell him why his side has struggled quite so much. Unfortunately for the Cottagers’ boss, new signing Havard Nordtveit – a defender on loan from Hoffenheam – is not yet fit enough to play, neither is Alfie Mawson, and Cyrus Christie and Marcus Bettinelli are both doubtful. To top off his selection headache, Timothy Fosu-Mensah is ineligible to face his parent club, but one positive is that Lazar Markovic – a transfer window signing from Liverpool – is available and may line up alongside countryman Aleksandar Mitrovic in the Fulham attack. For United there are fewer injury concerns although Marcos Rojo remains unfit despite being back in training and Chris Smalling – who missed last weekend’s game at Leicester – will face a late fitness test. Ironically, the reverse fixture produced arguably Mourinho’s best result of the season, with United running out comfortable 4-1 winners, and with Fulham having done little since that game to solve their defensive problems, it’s difficult to see them being able to keep United’s rampant attack at bay. While the Reds are midst wobble at the moment, it’s still hard to find a solid case for Eddie Howe’s Cherries returning south with anything other than a defeat. 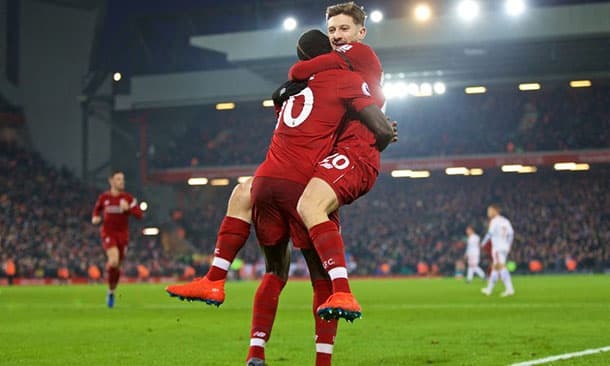 Two consecutive draws for Jurgen Klopp’s men have seen them overtaken at the top of the table by Manchester City, but maybe them now being the chasers rather than the chased will work in their favour and alleviate the pressure a little. Those two draws have not only highlighted the relative lack of depth in the Liverpool squad, but have also been notable for them playing minus the freedom and energy that typified their early season performances. The pressure dial had been cranked up to an eleven so it will be interesting to see if now being in second will have a positive impact. The post Guardiola’s City to Grasp the Blue Nettle appeared first on . «Next Post What licence do I need to drive a minibus?